Cricketers have been given nicknames since the early days. While some were given based on their performance in the field, some were given for other reasons. Rahul Dravid was often referred to as 'The Wall' due to his ability to stay at the crease for a long time. Meanwhile, Sachin Tendulkar was affectionately known as the 'Master Blaster' by his fans worldwide. Sourav Ganguly was touted as the 'Prince of Kolkata'. On the other hand, there are many bowlers who were given nicknames based on certain events, mannerisms or other factors off the field. 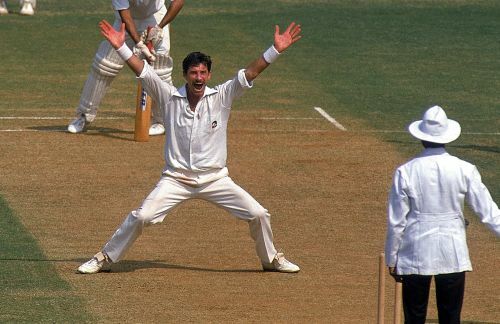 Let us have a look at 5 legendary fast bowlers who earned attractive nicknames. Sir Richard Hadlee is by far the greatest cricketer New Zealand have produced. He was the first bowler to take 400 wickets in Test cricket and was knighted in 1990 for his services to the game. Hadlee was born in Christchurch and attended Heaton Street Intermediate School and later went to Christchurch Boy’s School. It was during his school days that Hadlee got his nickname “Paddles” due to his large feet. The Kiwi legend's 15-wicket haul against arch-rivals Australia in 1985-86 at the Gabba is still one of the most memorable bowling displays in the history of Test cricket. Hadlee was also a very talented all-rounder who scored two Test centuries and was recognised as one of the four accomplished all-rounders of his era along with Ian Botham, Kapil Dev and Imran Khan. His most lethal weapon with the ball was the outswinger which was as good as unplayable. Post-retirement, Hadlee became chairman of New Zealand’s selectors and continued to appear in various cricket shows.